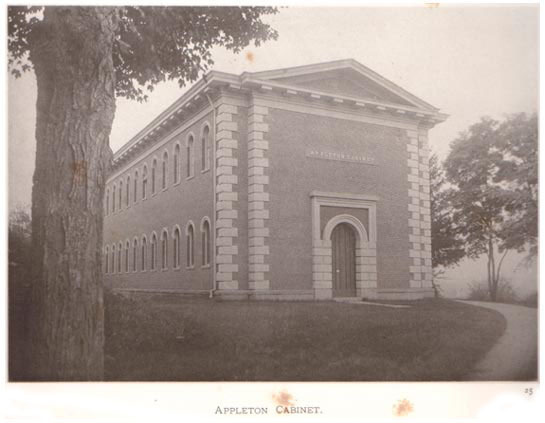 Appleton Hall was built as Appleton Cabinet in 1855, with a majority of funding coming from Samuel Appleton of Boston. It was built as a second scientific cabinet to add to the space provided by the Octagon. In 1925, Appleton was remodeled into Appleton Hall, with three stories of lecture halls, rooms, and offices (King, 312-313). 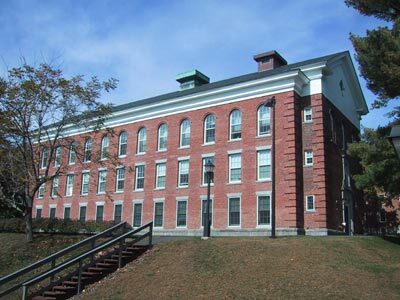 In 2000, Appleton Hall became Appleton Dormitory, the newest (and nicest) first-year dorm. (Photo taken 12 October 2001). Photo below: from Bierstadt's Sunlight Pictures (40).